Worried about your toddler’s sudden burst of a runny nose, or the patch of red skin? Pause for a second and read along. Get to know more about some of the common allergies in kids, its signs and cures, as we decode and dissolve your anxiety of kid’s allergies. Summer or winter, an allergy can be a common and usual aspect of a child’s formative years. So, at the outset panic not as it can be handled. Most often parents ignore the day to day symptoms such as the sudden burst of a cough, stomach cramps, vomiting etc. in children. It is tricky to spot the exact cause of the allergy in a child, yet doable with an eye for details. Allergies are the reactions in a body when the immune system acts to the elements of the environment. These elements could be pollens, animals, dust mites, the smell of a substance or any other insect stings. These are referred as allergens and mostly are found inside and outside the house. With the slightest negligence, these allergens enter the body by inhalation, the food we consume or the medicine or drug we take in. Sometimes you see the reaction immediately and at times you also get to see the signs and symptoms post 2 – 5 hours of the interaction or after a few days. Affecting their childhood, allergies can cause irritability in children and affecting the quality of your child’s life. Here are a few common allergies in kids with specific signs which you as parents must watch out for. Medically refereed by most ENT Pediatric Doctors as Allergic Rhinitis or Nasal Congestion. 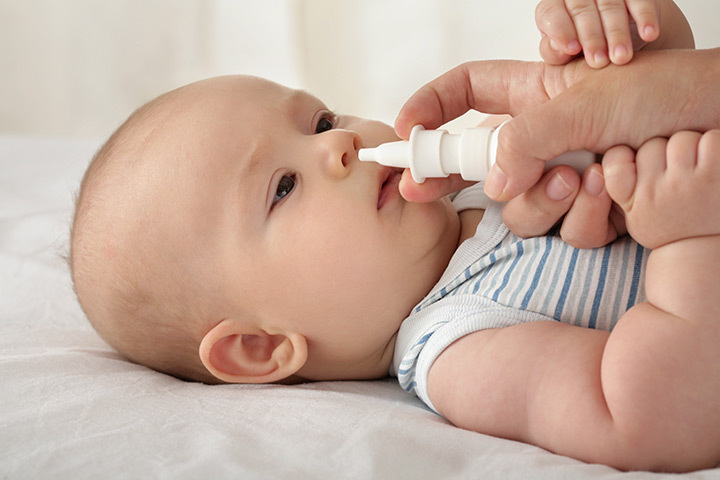 Nasal congestion is where the kid’s nose is blocked and feels breathlessness. He or she is unable to breathe in a steady manner because of the stuffy or a runny nose leading to a nasal itch and swelling in the face. In this case, most kids are asked to breathe through the mouth. A nasal saline rinse would usually solve the issue. If it’s a severe case, doctors usually prescribe nasal sprays. A very common allergic infection in kids. Skin rashes might be a natural reaction if your kid’s body encounters the skin of an animal, plant or when playing in mud. 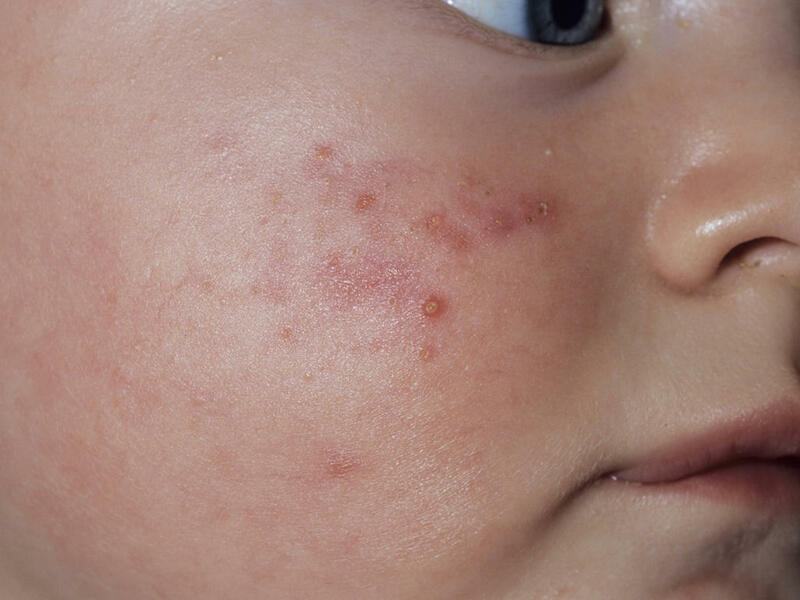 Commonly termed as atopic or contact dermatitis or eczema which is identified by the patches of red rash which is mostly itchy or a red blister around the infection. Usually doctors prescribe moisturizers and ointments to be applied to the rash patch on the skin. Some allergies might lead to soreness or a burning sensation in the ear of the child. 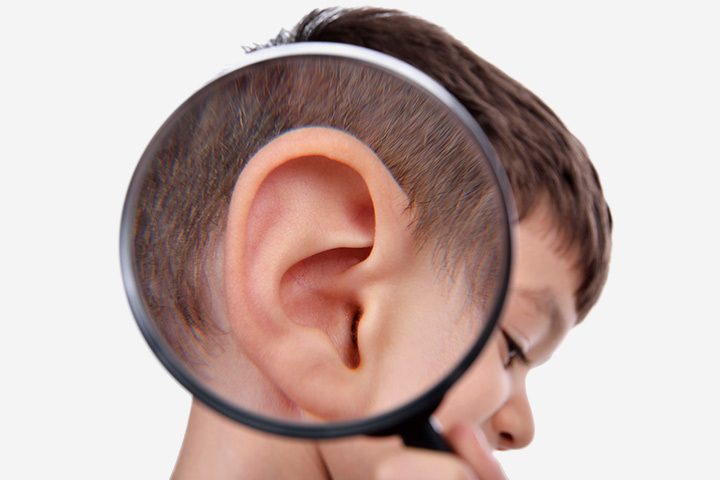 This might cause fluid accumulation in the ear, leading to tremendous pain and hearing impairment and sometimes leading to the development of poor speech. Such allergies could be identified by severe pain, reddishness of the ear, ear itching, feeling of closeness in the ear for the kid. If you find even one of these symptoms, it’s better to consult the doctor immediately. Mostly caused by viral infections or continuous exposure to toxic smoke. These might be also caused by furs of animals, fluctuating weather conditions, inhalation of airborne pollen allergens etc. The most common sign is the difficulty in breathing and continuous coughing, shoulders and chest puff up. 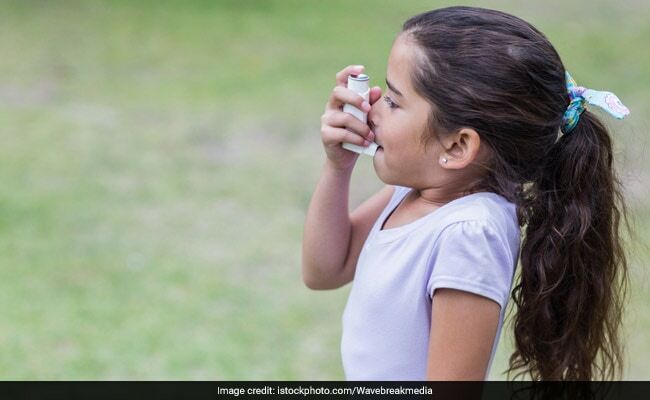 Sometimes kids are asked to use inhalers in their formative years to build their capacity of the lungs. This becomes a part of their lifestyle. In a severe case, oxygen is offered, and child’s heart rate is observed. Oh! This is the most common. Slightest dust at home, school or in the play area can induce the dust allergies in the toddler. This could be a small furry or a dust mite in your house carpet. Usually, this is characterized by irritation of the nose, eyes and continuous sneezing and coughing. Giving warm water to the child at regular intervals could be a great home remedy to cure the same. Food allergies are caused in the initial years when your little one is experimenting with different foods to develop a palate for a variety of food. You might not know what might or might not affect your kid. Only when tried once, you get to know the food that your little one is allergic to. 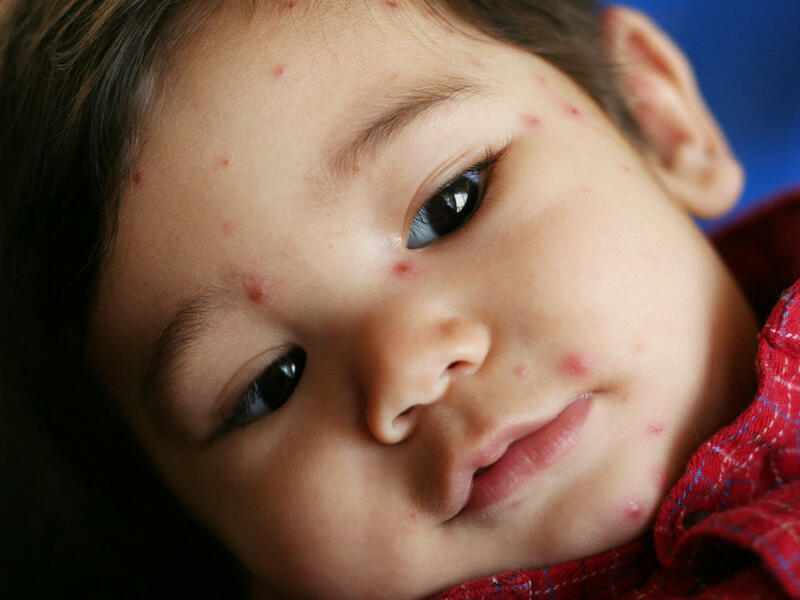 You can identify food allergies in a kid when you are visibly noticing a change in the skin color, swelling of lips and tongue, vomiting, diarrhea, breathing issues in the night, tummy pain post eating a specific food etc. The most common food allergy in kids is referred as anaphylaxis, which is usually life-threatening. It is strictly advised to consult the doctor as an emergency case. Kid’s allergies are a cause for concern. Thanks to the medical advancement, most allergies are treatable and can be cured in a slow and steady medication. Be vigilant while the kids are in their formative years to give them a qualitative life.